The video above was uploaded January this year. Now, what President Duterte promised during the campaign is now approved by the senate and is ready to be implemented this coming year. 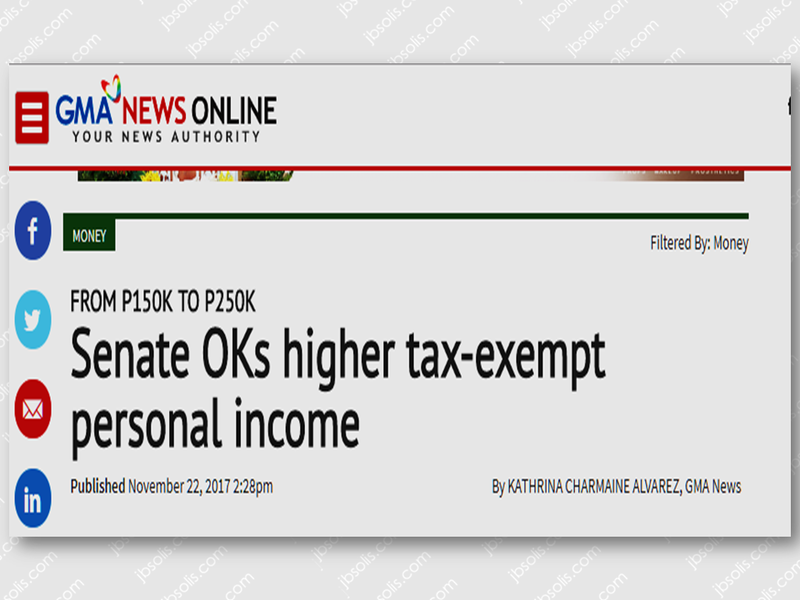 The Senate increased the personal income tax exemption to P250,000, essentially retaining the original proposal of the Department of Finance (DOF) and the House of Representatives under the first package of the tax reform bill. 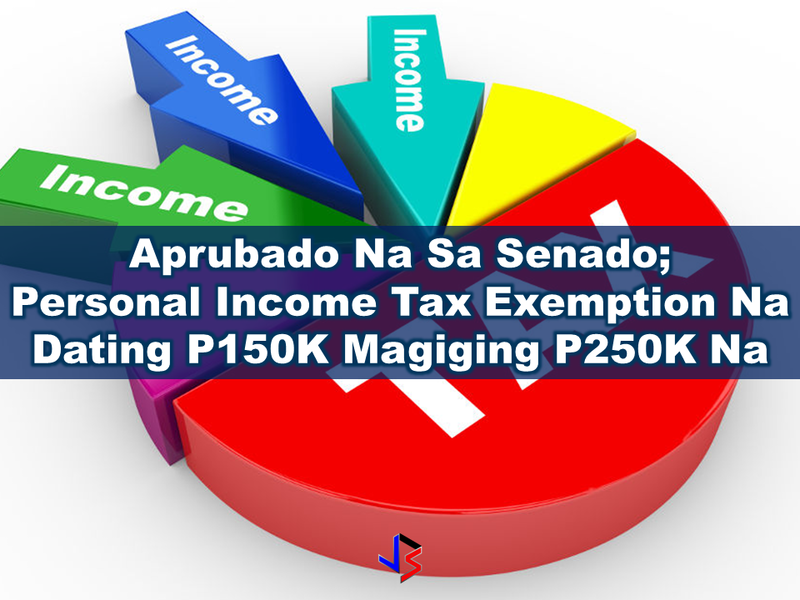 The Senate ways and means committee initially reduced the personal income tax exemption, with only the first P150,000 annual income exempted from tax, however, Senator Ralph Recto proposed that the exemption be increased to P250,000. 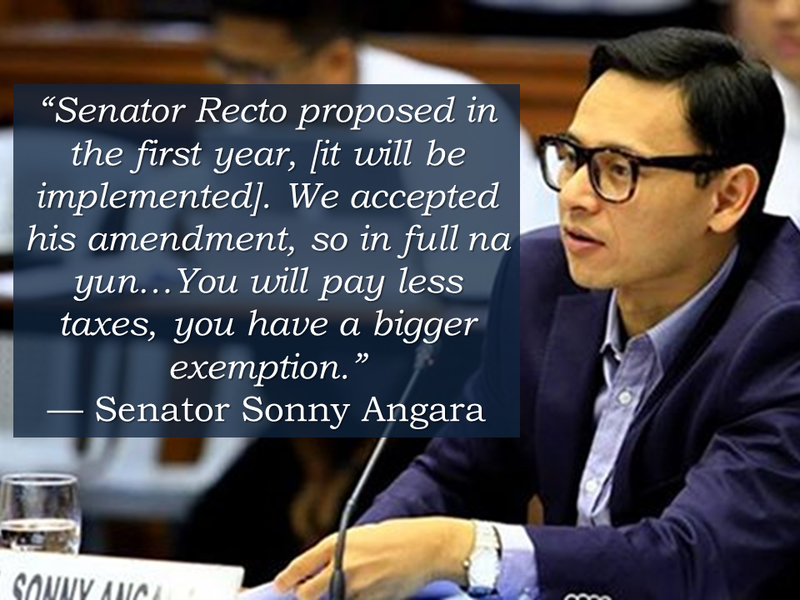 Angara said that such tax scheme, however, will result in a P1-billion revenue loss for the government. 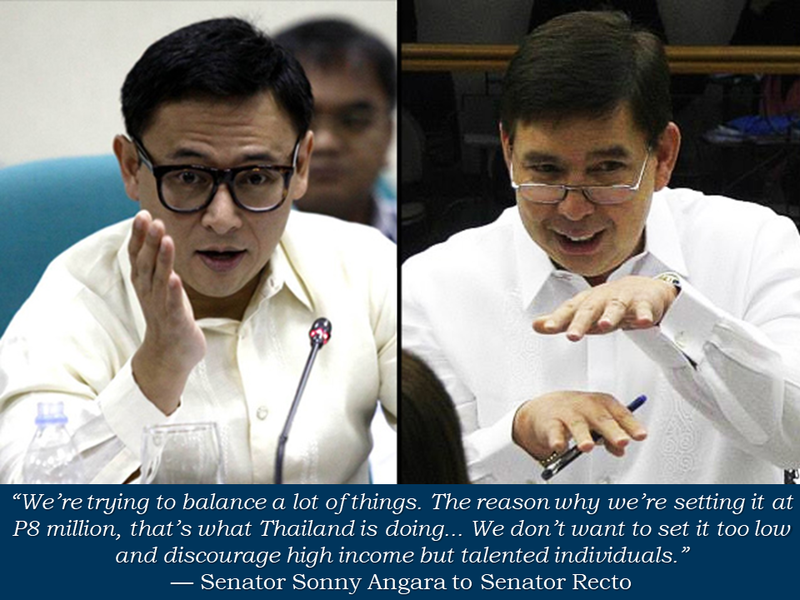 The boost in the revenue, Angara said, was significantly sourced from the amendments to the provisions on the expansion of the value-added tax (VAT) base. 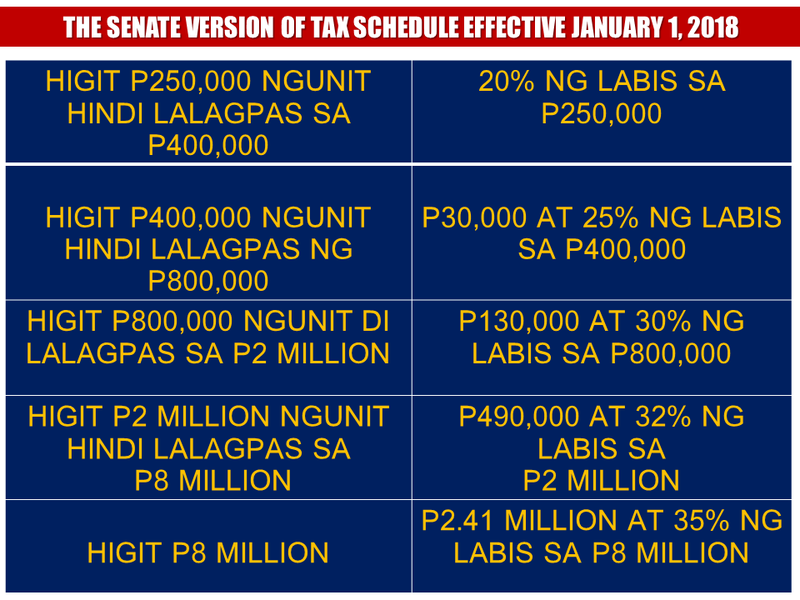 From the repeal of these VAT special laws alone, the estimated revenue gained from P14 billion to P45.5 billion. 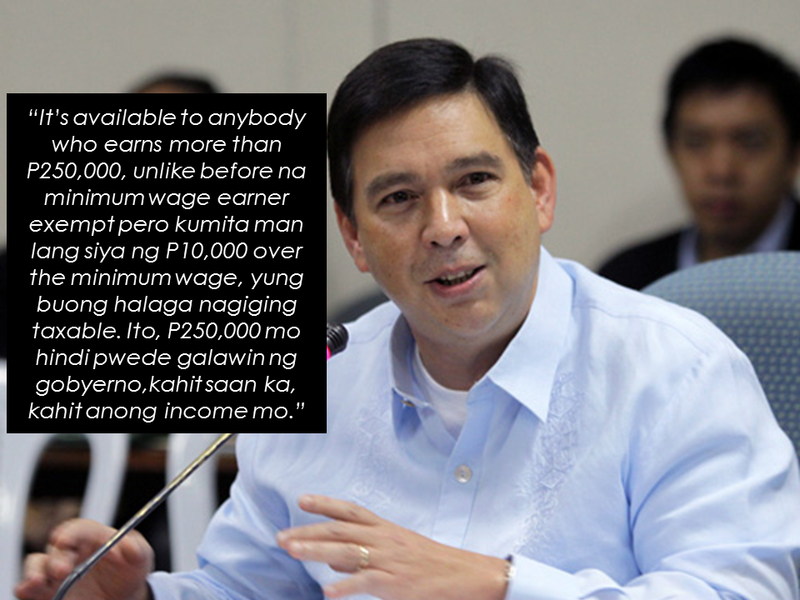 Another major source of revenue is the doubling of the existing documentary stamp tax rates which will approximately raise P40 billion.